From Melaka to Ampang. It's time to exercise! Today just a simple walk along the hills is sufficient for me and my wife to end the day. Apologies for not taking any photos. 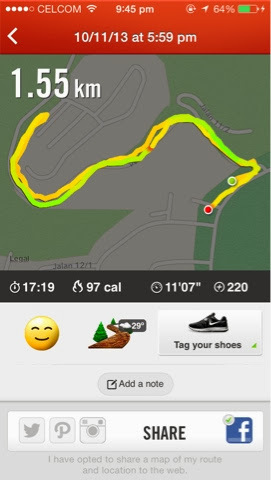 Anyhow, I manage to burn 90 calories for approximately 18 minutes. 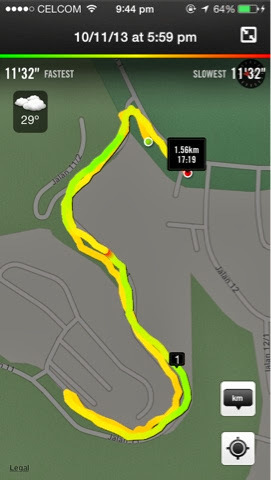 I am quite lazy to run, so decided to walk.